A space exclusively for the celebration of all women in history. After nearly a decade of work, the House Approved a bill that will lead to the constructed of a national women’s history museum. The bill, H. R. 863, voted 383-33 Wednesday night to create a commission that will study whether or not to place the museum on the National Mall. 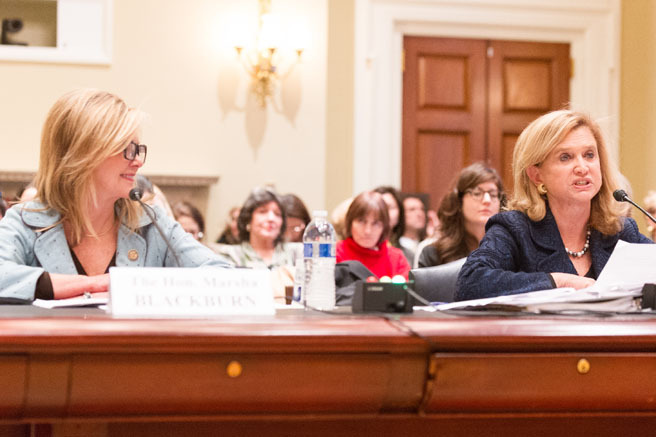 The bill, commissioned by Republican Rep. Marsha Blackburn of Tennessee and Democratic Rep. Carolyn Maloney of New York haves a few fallbacks for the bill since 2005. Maloney told ELLE the museum will house stories of women who weren’t in the spotlight in history books, such as Sybil Ludington. “(She) did the same thing Paul Revere did in 1777, yet she rode 40 miles longer,” Maloney said. The estimated cost for building the museum at the mall is between $400 million and $500 million. If the Senate pass the bill, the newly established commission will begin planning for actual contraction of the space.